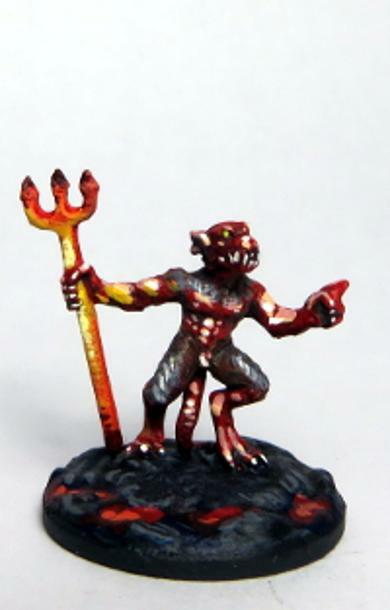 The Demons line of AoA miniatures is for those wishing to represent the lords and minions of the underworld on the tabletop. These are true to the 15MM scale, all come unpainted. Height measurements are from the bottom of the base to the top of the head unless otherwise noted. 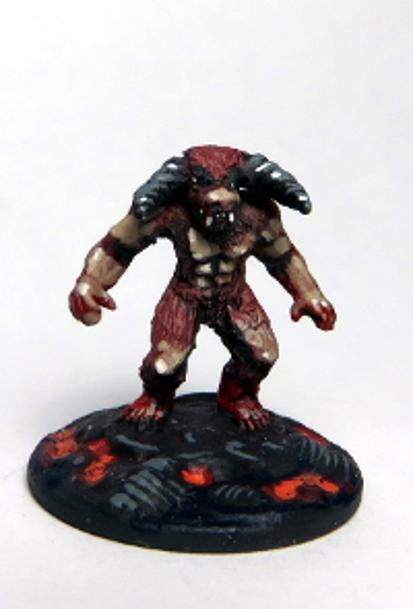 These Imps are the cannon fodder of any demon army. They Stand 17MM tall. 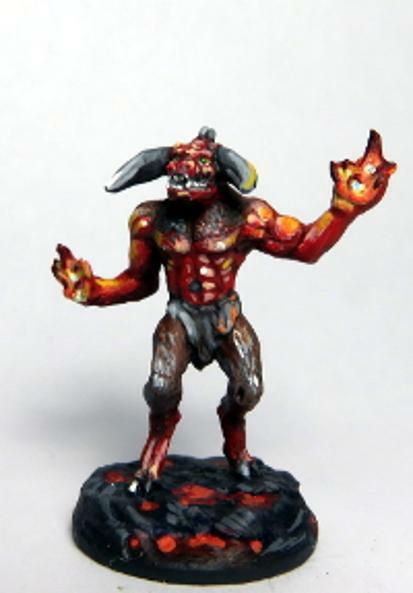 Representatives of the Warmer regions of the underworld, could also stand in as a form of Fire elemental creature. They stand 20MM tall. Formed from the stuff of chaos these warriors are some of the toughest any hero will ever face. They stand 17MM tall. The minor lord of the lands of the underworld. The servants of those who are the true rulers. 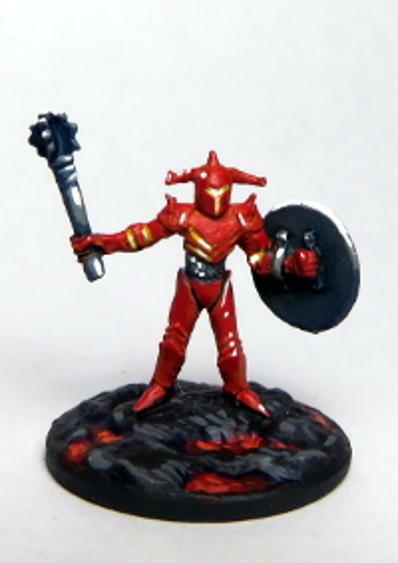 Stands 40MM tall. 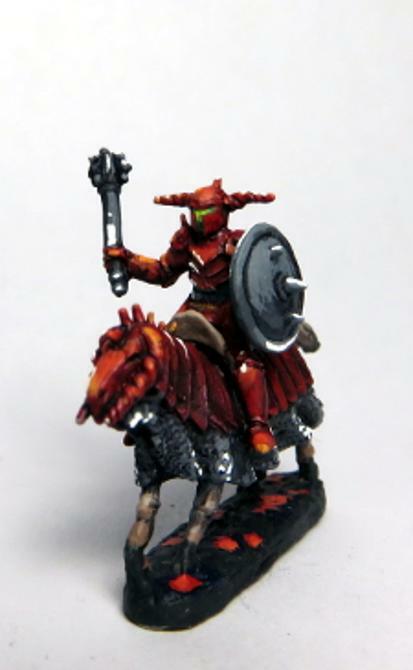 A sample of what the Chaos Knights look like when mounted on there Otherworld Steeds. These are availible seperately or packed together depending on your gaming needs. Representatives of the colder regions of the underworld, could also stand in as a form of ice elemental creature. They stand 17MM tall. 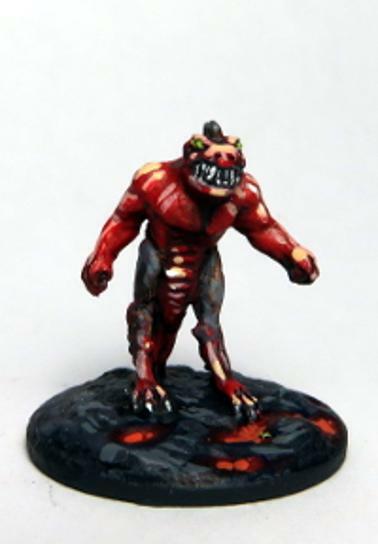 The warcry of the howler Demons have scared more then one opponent into fleeing the field of battle. They stand 17MM tall. Mounted versions of the powerful knights, these riders are separate from there mounts so that they can be mounted on any beast you choose. 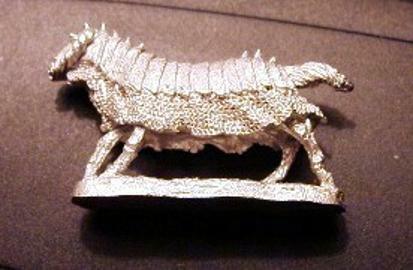 He is 11MM tall from the base of the saddle. An awesome site on the battlefield as there chain link arms flail there opponents into the afterlife. 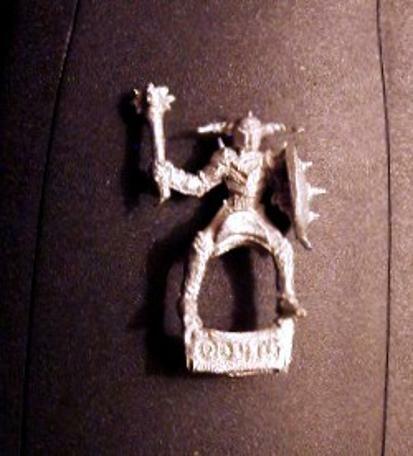 Stands 23MM Tall. From the deepest reaches of the abyss comes the Cacodemons, twisted and deformed by the energies that exist there. 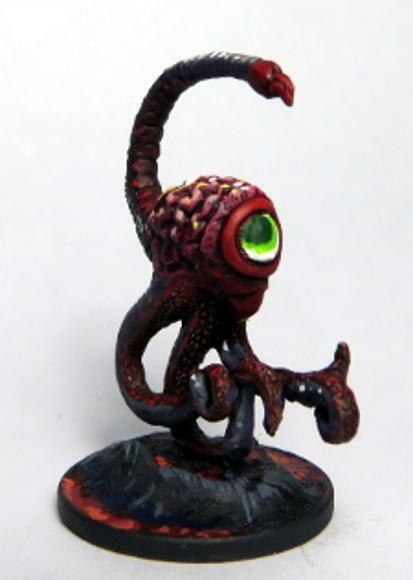 Stands 21MM tall.